You’ve set the date for your wedding and now it’s time to impress your wedding guests with TMAMQMUW – The Most Awesome Most Quirky Most Unique Wedding Ever! There’s so much to think about: who to invite, what to wear and then there’s the dilemma of bonbonniere…Sugared almonds are so yesterday and it’s hard enough to spell the word bonbonniere, let alone think of something original and quirky to give to your guests! Don’t panic! For we at Waterside Events have come to your rescue. 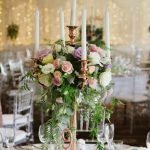 Having researched, tried and tested bonbonnieres, we have these five quirky wedding bonbonniere ideas guaranteed to impress your guests. Otherwise known as non-killable-thrive-on-neglect plants. Actually you do have to give them a little love but as their name suggests they practically live on air. Air Plant Designs display these super-cool-I-don’t-even-need-soil plants in all kinds of creative ways to suit your wedding theme; inside sea shells, barnacles, glass bubbles, trinket boxes, crocheted twine planters and even metallic pineapples – this season’s must have ornament! Check them out here. Weddings are all about love and why wouldn’t you want to spread some love around – literally? Make up a big batch of homemade jam and bottle it in jars with a label saying ‘Spread the Love’! If you don’t have a trusted jam recipe from Nanna, an alternative is to fill your jars with honey and label them with the words ‘Love is Sweet’. You give your fiancé the key to your heart so why not commemorate the moment with key place card holders? Pinkfrosting.com.au has antique looking key place card holders to suit all kinds of weddings; Rustic, Vintage, Secret Garden, etc. Or maybe you or your fiancé just has a talent for losing keys and it could give your guests a giggle! If you like eco-friendly and unique bonbonniere, Couture-Candles.com use natural and recyclable products at every stage of production beginning with their 100% cosmetic grade soy wax right through to their stylish packaging. Their jars are even recyclable! All candles are hand poured and specifically made to order so you can tell Aunty Doris that it was made just for her -with lots of l-o-v-e. Follow the links to place your orders if you don’t have time to be creative yourself and now you can relax knowing that your bonbonniere are sorted and you’ll have TMAMQMUWE! Is Finger Foods Fashionable for Wedding Receptions?